More than a million customers have added their Chase credit and debit cards to Apple’s mobile payment platform, JP Morgan Chase announced yesterday during an investor conference call (via AppleInsider). Serra also drew a quick sketch of the Apple Pay user profile – young and with higher income – but that’s nothing new, since Apple’s mobile payment platform works only with the iPhone 6 and iPhone 6 Plus, and the Apple Watch when it launches in April. According to data shared by Chase, since Apple Pay’s launch, 31% of card transactions were debit based, while credit took the majority with 69% of purchases. Customers seem to love Apple Pay, as the customer feedback has been mainly positive, Serra said. But that’s only one side of the coin: Apple and banks need to have merchants adopting this mobile payment platform. 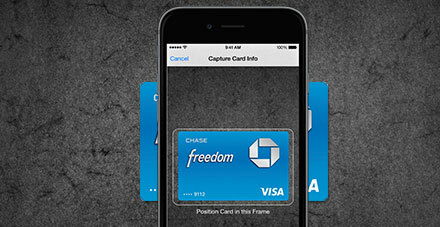 Chase throws in further data following Bank of America’s similar adoption numbers revealed in January: roughly 1.1 million cards added to Apple Pay by 800,000 customers.